I don't think I have ever been someone who jumps into the bandwagon. When bubble tea became popular and everyone raved about it - I never really understood why. Up to now - I don't understand why people love Krispy Kreme. Frozen Yogurt will never satisfy my cravings for Ice Cream. So all of those fads of the past were lost on me. Today - I think I'm hooked with the latest talk of the town: Milk Tea. I've written about Happy Lemon and Serenitea in the past. It seems like I have been going to these two places one too many times - that I have actually gained weight from too much dairy. Tonight - I tried two other milk tea brands which have stalls in Mercato Centrale One brand is Happy Fanshu. The other brand is Bumble Tea. To be able to compare the two brands - I requested for green tea - zero sweetness level and with creme pudding sinkers. Happy Fanshu's milk tea has a distinct tea taste that I like. I think that having zero sweetness level did not satisfy my sweet tooth because the creme pudding is not sweet enough for my taste. Bumble Tea has the same tea taste that Coffee Bean and Tea Leaf has. That is translated to their tea coming from powdered concoctions. I'm happy that I requested for zero sweetness because the powdered form is sweet enough. I love the cream pudding taste. 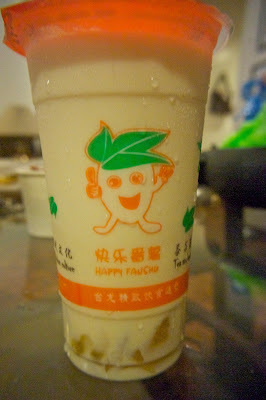 My verdict - if you want the real tea taste - go for Happy Fanshu. 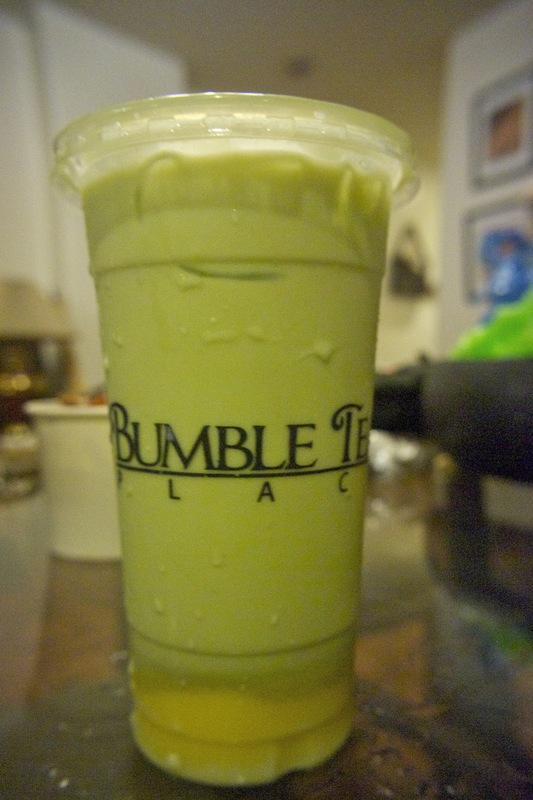 If you are looking for good cream pudding - go for Bumble Tea.